Discover a newer Energy Star Certified home built in 2017 in the community of Pine Trace. This spacious 3 bedroom, 2 bath, plus den (possible 4th bedroom) with 1881 sq. ft. of living space under air and a 2-car garage. 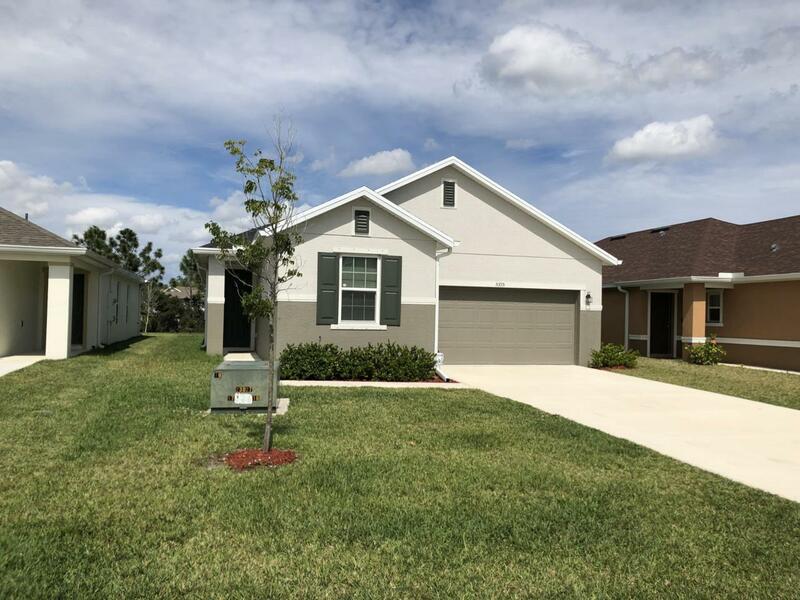 This upgraded home features 9'4'' volume ceilings throughout the home, 42'' cabinets and crown molding in the kitchen with granite counter tops, Whirpool stainless steel appliances, an extra long driveway, tile through out the living areas and carpet in the bedrooms. Only house in community to feature soft close kitchen drawers. Convenient laundry room under air includes Samsung washer (5.0 cu. ft) and dryer (7.4 cu. ft.). Master suite includes an over-sized walk-in shower, dual sinks and a large walk-in closet. Enjoy the sunrises, sunsets and bird watching fromyour covered patio overlooking green belt for extra privacy. Located in a great up and coming development just minutes from I-95, Mets Spring Training, and the Turnpike. Walking distance from Oxbow Eco-Center and Publix shopping center. No construction in immediate area (more than 15 houses away and getting further).